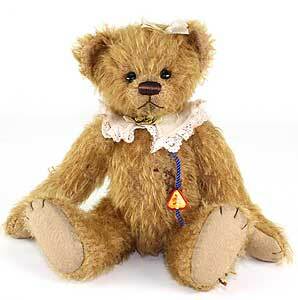 Lisa Teddy Bear by Clemens is hand made in a beautiful gold blond mohair and wears a frilled collar and small bow by her ear. Designed by artist Anna Dazumal. Limited edition of 299 pieces worldwide.